I am having a queer problem. i have a wifi connection at my home. the problem is that my PC and my laptop is working fine with wifi but my android devices are not connecting. they show the wifi as saved but doesn't connect. Is there any fix for the web connectivity issues in Motorola Droid android device? PC suite connection issues on LG android phone? 3. Swipe the status switch beside Wi-Fi to turn Wi-Fi on. 5. Tap the network you wish to join. 6. If necessary, enter the network's password and then tap Connect. 7. To turn Wi-Fi off, swipe down from the top of the screen. The first thing you should try is to power off your Android phone, remove the battery, leave the battery out for about 30 seconds, replace the battery, and power the phone back on. 1. Tap the Menu button on your handset. 3. Tap Wireless and Network from within the Settings menu. 4. Tap Wi-Fi settings from the Wireless and Network menu. 5. In the new screen, uncheck Wi-Fi to turn it off. 6. After Wi-Fi is turned off, tap the entry again to turn it back on. If the previous method does not work, you might need to have your Android device forget the network and then re-add it. 1. Long press the listed network you want to forget. 3. Get back within range and wait for the network to automatically show up. 4. Enter the network password to join. Your Android phone should have a new address and be working as you would expect. 1. Be out of range of the network in question. 2. Long press the wireless network you need to configure. 3. Tap Change Network Settings. 4. Enter the new password in the resulting screen (Figure A). 6. Tap Save when you know the password is correct. This screen will also indicate the type of security used on your network. Make sure that matches what you believe to be the correct type of security; if it does not, you might need to have Android forget this network and re-add it. 3. Tap Wireless and Networks. 5. Tap the Menu button again. 6. Tap Advanced (Figure B). 7. Tap the Proxy setting and make sure your Android device is not set up for a Proxy. (Unless the Wi-Fi network you are on requires a Proxy, this setting will get in the way of your device’s access to the Internet.) If you tap on Proxy and see an IP address or domain, delete it. Most likely the Proxy and Port settings will not be set, but it’s always good to check if you’re having frequent issues with Wi-Fi. Another troubleshooting approach is to give your Android device a static IP address. This could reveal if the router you are trying to connect to is having issues with handing out DHCP addresses, or if your device is getting a bad address. To configure a static IP, tap Use Static IP and then fill in the settings (IP Address, Gateway, Netmask, DNS). The only issue with setting up a static IP is that address will apply to all wireless networks, so only use this for troubleshooting if you just connect to one Wi-Fi network. If you are having persistent Wi-Fi issues, you can set the Wi-Fi sleep policy to Never and see if your issues stop. With this policy set to Never, it will drain your battery faster, but it will also keep your Wi-Fi connected on a more consistent basis. 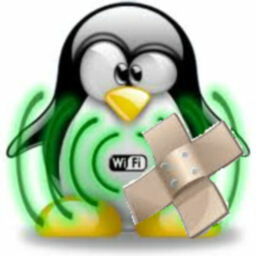 I hope that these troubleshooting tips help you get through your Wi-Fi headaches. If all else fails on one Wi-Fi network, you should try another network so you know for sure that the issue isn’t the wireless router. Just use the app to solve this problem, this idea is the best one. It is a one button fix solution. Just click the "Fix My WiFi" button and the tool will attempt to fix your WiFi problem on your Android device for you. You will lost all your WiFi settings, including all the saved WiFi connection passwords, along the process. However, this is still much better than having to do a full factory reset to the Android device.